It may seem obvious, but having a marketing strategy that concentrates on serving the needs of your customer is quintessential. But before you can attend to customers, or efficiently market to them, you need to understand precisely who they are. We no longer live in the age of sending blast-emails to people who may or may not have any relevance to our product or service. Inbound marketing, a term coined by HubSpot co-founder and CEO, Brian Halligan, is all about educating and empowering potential customers. It’s not about extracting value from your customers but determining what value you can provide them. Products and advertising have invaded our day-to-day existence, and therefore, few customers want to be sold your product right off the bat. As a customer, it’s refreshing when a brand takes a more relaxed and thoughtful approach to marketing, in which they offer knowledge about the given product or service, as opposed to the in-your-face style of marketing. Customers often need to be educated about the product or service before they can make a secure purchase. They want knowledge. They want an understanding of the various solutions to their problem or need. Instead of placing your advertisement within print media, try creating an engaging video blog for your customers to help educate them on matters surrounding your business. Instead of cold-calling a long list of names, take the time to create serviceable content such as a business blog that potential customers look forward to reading and in turn, return to your blog for more information week after week. Inbound marketing is about providing a refined target audience with the right information, at the right time. The information you provide as a marketer depends on a variety of things – the first of which relates to your buyer personas. It’s all about putting the customer and his or her needs first, above everything else, which means you must first understand whom you are trying to reach. You don’t merely want to attract any and all traffic, but preferably, the right traffic. You want to identify those individuals who are most likely to become leads, and in turn, happy customers. A buyer persona is a partly fictional representation of an ideal customer. It’s likely, based on your product or service, that there are a handful of such personas. Your buyer personas are made up of research and data, combined with educated speculation about demographics, behaviors, motivations, and goals. If you’re an existing brand or business, take a look at your current customers to help create your buyer personas. If you’re a new business, it’s important to try and put yourself in the shoes of your prospective customers and examine similar companies. Here is a list of questions that you can ask yourself, your current customers, former customers, prospects, and even co-workers to help you begin to develop your buyer personas. What industry or industries does your company work within? What are you working to accomplish? What are your most significant challenges? How do you learn about new information for your role? Do you use the internet to research vendors or products? These are just examples to get you rolling. Feel free to create unique questions based on your particular industry. What’s critical to keep in mind when interviewing your customers is the “why” or the motive behind their purchase. Again, your goal is to best understand your buyer persona’s goals, behaviors, and motivations. This information will then be used to develop reliable buyer personas, who will become the bedrock of your marketing efforts and overall content strategy moving forward. It’s also important not to shy away from interviewing customers who have had unsatisfactory experiences with your product or service. While it might be tough to listen to, these adverse experiences will become lessons that will help you craft a stronger business moving forward and are vital pieces of information to developing your buyer personas. Through these interviews, you will want to pay attention to patterns and similarities in the answers to your buyer persona questions. 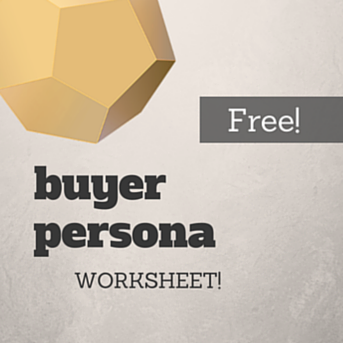 These overlapping answers will help you begin to define your buyer personas. The last step is to gather all of your research and create short profile stories based on each persona, including but not limited to, their background, their demographics, their goals, and challenges. You’ll want to present your plan to help them achieve their goals and overcome their obstacles. Be sure to include common objections and skepticism concerning your product or service. To make it as authentic as possible, add real quotes from your interviews. Sample Samantha is a buyer persona developed by an HR database software company called HR Cloud. Samantha tends to be the head of Human Resources (HR) and has worked at the same company for a while. Samantha is usually a married woman with children and is between the age of 40-50. She typically has an assistant who screens her calls. Samantha’s primary goal is to keep her employees happy and fulfilled, with low turnover rates. Her job includes supporting the legal and finance teams as well. Samantha’s main challenges at work involve completing all tasks with a small staff and conducting company-wide changes. As for solutions? HR Cloud can best serve Sample Samantha by making it easy for her to manage all of the employee data in one place and integrate it with her current legal and finance systems. Sample Samantha’s concerns include the possibility of losing data while shifting to a new system. Samantha does not want to be responsible for training the entire company on how to use the new software. Check out our blog next week to learn about a concept we call “The Buyer’s Journey,” a useful tool to help put your buyer persona’s into action.